Blessed are those who hunger and thirst for righteousness, Jesus said. Blessed are those who hunger and thirst for what? Most people today, when asked what they hunger and thirst for, probably would not say “righteousness.” My hunch is, if I ask you what you’re living for, you might list several things, but righteousness would not be among them. One way to get at a list of things we hunger and thirst for most of all, is to talk with people at the far end of life, people who’ve lived long and achieved and accumulated much, and ask them what’s missing. What do they still hunger and thirst for? What absence would make them sing along with the U2 song: “But I still haven’t found what I’m looking for”? Bronnie Ware may have had something like those words in mind – But I still haven’t found what I’m looking for – when, after years of unfulfilling work, she started working as a palliative-care nurse, tending to the needs of those who were dying. In her search for meaning and substance in life, her life was transformed as she heard people who were dying speak of their regrets. She listed the most common regrets in an Internet blog and later published the list in a book called The Top Five Regrets of the Dying. The single most common regret people expressed was “I wish I’d had the courage to live a life true to myself, not the life others expected of me.” When people realize that life is nearly over, and they look back on it from the vantage point of the end, they realize how many of their dreams, how much of the abundance of life that might have been, had been left unlived. It’s the kind of life Jesus had in mind when he said, “Blessed are those who hunger and thirst for righteousness.” Blessed are those who hunger and thirst for what Jesus said he came to give us: “real and eternal life, more and better life than [you] ever dreamed of” (John 10:10). And to understand the kind of life Jesus offers, there are two key things about righteousness we need to understand. First, righteousness is a lifestyle. 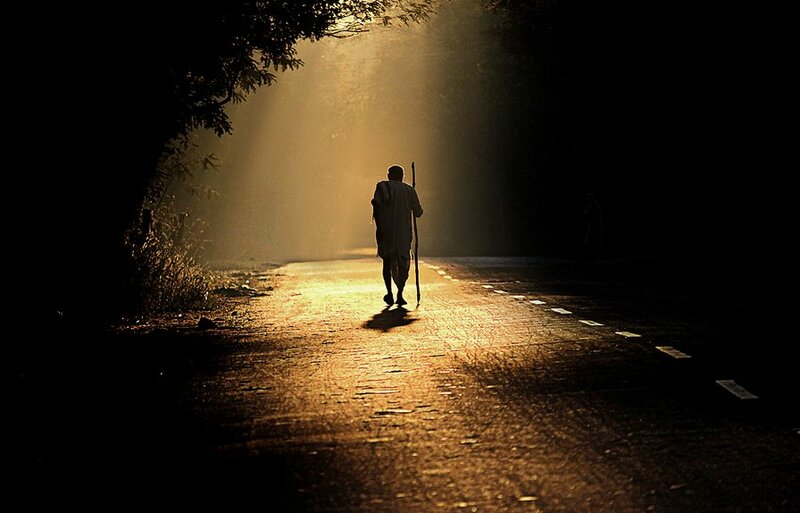 A line from Proverbs says, “In the path of righteousness there is life, in walking its path there is no death” (Prov. 12:28). Righteousness is a way of walking in life that is characterized by uncompromising integrity and faithfulness to the purpose for which you are created. When Jesus says, “You must be [whole and complete] as your heavenly Father is [whole and complete]” (Matt. 5:48), that’s the kind of life he’s talking about. Righteousness is a way of living that is completely faithful to who God is creating you to be. The whole purpose of the spiritual gifts workshop we’re going to host on Nov. 2 is to help us get in touch with the personal spiritual gifts that make us who we are, so we can live more fully as God is creating us to live. It’s to help us discover and appreciate the personal tools God has given each one of us – your way of seeing things, and saying things, and feeling about things – that will help us live in the world completely as only each one of us can live. What spiritually alive person doesn’t hunger for that? Second, righteousness is a relationship with God. At the start of his Confessions, St. Augustine wrote, “God, you have made us for yourself, and our hearts are restless till they find their rest in you.” We constantly desire more, and better, and different: cars, gadgets, toys. The world teaches that we can fill our God-shaped hole with things money, power, and influence can buy for us. But our God-shaped hole, our deepest hunger and thirst in life, is infinite, and not the biggest TV, nor the ritziest clothes, nor the nicest car, nor the poshest vacation spot will ever be able fill it. Only God can fill it. And Jesus tells me, if I hunger and thirst for the kind of life only God can give, my cup will be filled with it to overflowing. The bad news is, there is nothing I can do to make myself righteous. I cannot come to the fullness of relationship with God and live abundantly on my own. I’m in the same situation St. Paul was in when he wrote: “The moment I decide to do good [to live the life God designs me to live], sin [my brokenness, misdirection, and failure] is there to trip me up. I truly delight in God’s commands [and in the life God offers], but it’s pretty obvious that not all of me joins in that delight. Parts of me covertly rebel, and just when I least expect it, they take charge. I’ve tried everything and nothing helps. I’m at the end of my rope. Is there no one who can do anything for me” (Rom. 7:21-24 The Message)? The good news is, yes, there is. God has already done for me what I cannot do for myself. In my relationship with Christ, God remakes me altogether. The whole world becomes new. “Anyone united with the Messiah gets a fresh start,” Paul says, “is created new. The old life is gone; a new life burgeons! All this comes from God who settled the relationship between us and him” (2 Cor. 5:17-18). That restoration is not for me only, not even for Christians only. It’s for everyone, without exception. No degree of sin and waywardness can stand in the way of that divine reconciliation or block us from the life that’s coming our way. “God was in Christ,” Paul wrote, “reconciling the world to himself [restoring an original, authentic, life-giving relationship], no longer counting people’s [brokenness, misdirection, and failures] against them” (2 Cor. 5:19). Love and life abundant have won the struggle, and what I hunger and thirst for, God provides. I have only to turn my life around and receive it. But – and here’s the fine print – while the life God offers is free, it turns out to be very costly for us to receive it. And here’s what Jesus says is the cost. I’ve got to put my relationship with Christ above every other relationship, even my relationship with my parents and siblings and children (Matt. 10:37), even my relationship with Sheryl. My family of origin will be replaced by a family of faith, those who do the will of God will become my parents and brothers and sisters (Matt. 12:46-50). And I’ve got to set aside my own life, my psuche, the constellation of ego and personal preferences that make me who I am, for the sake of the new and abundant life for which I hunger and thirst (Matt. 10:39). Whoever gives all that up will receive the same things a hundred times over, and along with them, eternal life, life abundant (Matt. 19:29). When I don’t actively hunger and thirst for the life God offers, I get lazy and satisfied with the way things are. My prayer life becomes occasional and intermittent; my Bible study moves from the deep end to the wading pool; my senses grow dull so that I miss the eternal quality of life I know surrounds me. But when I hunger and thirst for real and eternal life, I look for it, and I begin to see it again, and I find myself immersed in it. May God keep me hungry and thirsty for this kind of life, so that my emptiness may be filled to overflowing.